After 25 days and 4,500 miles criss-crossing the Midwest, following upon the heels of a similar expedition on the East Coast last year, Augustinas Žemaitis and Aistė Žemaitienė, both of Vilnius, Lithuania, have visited more Lithuanian-American heritage sites than anyone else in the world. This year’s “Destination Lithuanian America” expedition took the couple from Marquette Park, Bridgeport, and the Lemont World Lithuanian Center to the “Lithuanian room” at Wayne State University in Detroit, the Andrulis farmer’s cheese operation near Custer, Michigan — and even a lost, snake-and-tick-infested Lithuanian miners’ cemetery in far southern Ledford, Illinois. If a site was even remotely verifiably Lithuanian by the expedition’s published standards, the Žemaitises visited it. Those that made the cut got their GPS coordinates recorded for a comprehensive, free, interactive digital map of “Lithuanian America” that Žemaitis is developing. For maximum efficiency with minimum time and expense on the road, the couple relied, for some of their advance work, on volunteers in as many locations as possible. 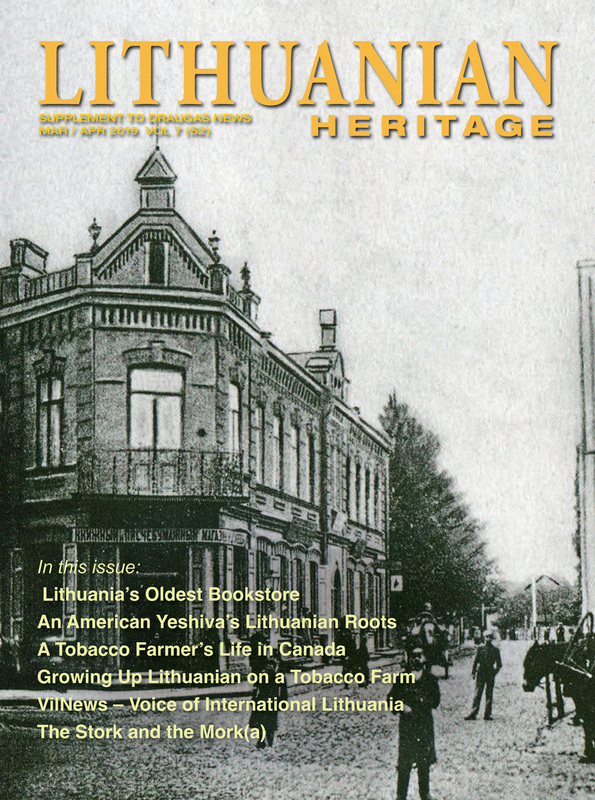 In a familiar pattern that played out across Illinois, Wisconsin, Ohio and Michigan, contacts that the Žemaitises had met online set up informal “Destination Lithuanian America” meetings with locals so the couple could hear about the area’s Lithuanian churches, cemeteries, clubs, gardens, monuments and campgrounds. WFMB-AM radio host Sam (Simonavitch) Madonia getting ready to interview Augustinas and Aistė Žemaitis. I was the contact for the Žemaitises’ August 29 visit to Springfield, Ill., a tiny blip in the vast, Lithuanian-American “hinterland” that put the heaviest mileage on the couple’s rental car–if not the greatest number of sites on their map. 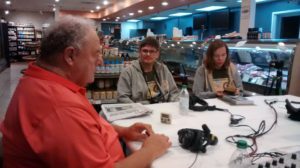 Besides scheduling the Žemaitises for a morning talk radio interview and two small-group meetings in Springfield, I reached out to find them on-the-ground contacts and secure media interviews in Rockford, Kewanee, and West Frankfort, Ill. 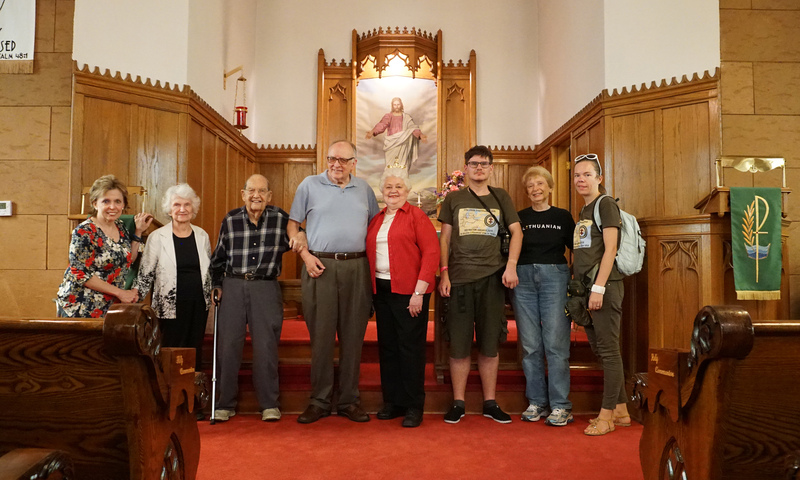 In Kewanee, I managed to find two individuals from the community and an editor from the Star-Courier newspaper to meet the Žemaitises at the now-defunct (Lithuanian) St. Anthony’s Catholic Church. In remote West Frankfort, it took me several weeks of phone calls and online research finally to be steered to a Lithuanian-American nonagenarian named Lillian, who was linked to the local Lithuanian Cemetery by county plats. Lillian led me to cemetery association member Theresa Renik. Together, we secure newspaper interviews, and ultimately, articles about the Žemaitises’ visit in The Southern (Illinoisan) and the West Frankfort Gazette. I never saw the Gazette article, but The Southern’s article touched all the bases. It even described Lithuanian government support for the Žemaitises’ expedition in connection with this year’s big centennial of Lithuanian independence. However, that historical milestone wasn’t even necessary to generate excitement in communities that had gone decades without any official contact with Lithuania– let alone a visit by “real” Lithuanians to recognize local people and local heritage. Third- and even fourth-generation Lithuanian-Americans brought photos and other family artifacts to share with their special visitors from the old country, telling stories and asking questions. “It takes you guys coming here to show us what we have,” Theresa Renik told The Southern, while studying inscriptions on the headstones at the Lithuanian Cemetery. Aistė Žemaitienė told The Southern that meeting with “Destination Lithuanian America” made local Lithuanian-Americans feel “validated and honored” to be recognized by their family’s country of origin. I believe this feeling of grateful recognition and validation happened everywhere the Žemaitises went. Yet the meetings I helped set up, and the many others I read about in the Facebook group truelithuania, were also bittersweet. For, even as the Žemaitises bonded with members of our communities, they spotlighted our heritage sites in faded glory—and turned a glaring digital eye on the hideous empty places where memory now finds it painful to look. And so, even as they celebrated the lives and accomplishments of our immigrant ancestors by seeking out what they so proudly had built, we, the inheritors of those treasures, couldn’t help being reminded of all that no longer exists. Most crucially, we couldn’t help wondering where we go from here with our shrinking and aging casts of volunteers who struggle, for example, to keep the grass mowed at the West Frankfort Lithuanian Cemetery, or to ensure the future of Jerusalem (Lithuanian) Lutheran Church in Collinsville, Ill.
At one point, I even felt compelled to lay out for the Žemaitises the process of ethnic dilution by intermarriage, whereby after only three generations, Lithuanian descent declines to one-eighth—hardly enough for most individuals to ascribe any importance. More likely, though, I was reminding myself of the reason for the steep, assimilation-based declines responsible for such bitter loss. But there is a bright side to the sober reckonings felt on the American side of the Žemaitises’ mission. And that bright side includes the possibility of new resources from broader and more effective networking of our communities, more accessible and more encyclopedic information to share, and expert insights from the most comprehensive expedition to visit Lithuanian America as it is today. With all this, our forced recognition of loss can actually inspire hope for all that remains and is still worth preserving. Certainly, if anybody can help better network dispersed activists with similar problems in diverse places–and suggest fresh ideas for generating awareness, involvement and support locally, nationally, and internationally–it would be the two people who’ve seen more of our endangered heritage than anyone in the world. Therefore, I encourage our leading national Lithuanian-American organizations and foundations to listen carefully to the Žemaitises when they are ready to share their hard-won intelligence. Step two would involve some new policy directions for reaching into and sustaining the vast, Lithuanian-American hinterland that mainly consists of non-Lithuanian-speaking members of our immigrants’ second, third, fourth, and even fifth generations. Make no mistake – whatever investment is made in hinterland communities and their activists and heritage sites will eventually inform the challenges of sustaining even urban communities like Chicago, Cleveland, and Detroit, which face similar ethnic dilution over time. One of the most obvious ideas for giving local heritage preservers a boost is to immediately arrange both more “official” and informal people-to-people visits from “real” Lithuanians that activists can use to create new personal experiences and connections within their local communities. Why should our hinterlands have to go decades without another “expedition” from Lithuania? When necessary, such visits could also draw on “real” Lithuanians based in Chicago and other centers of immigration. Augustinas Žemaitis, head of “Destination Lithuanian America” and owner of its branded interactive digital map and network of websites at truelithuania.com , promises an article on his preservation ideas and learnings for – and from – Lithuanian America. In the meantime, he agrees that “mainstreaming” the significance and care of what Lithuanian immigrants once created and regarded as their sole heritage should be an immediate strategy outside Chicago and other major cities where fresh immigration is no longer a force. The Žemaitises found this process already underway at surviving Lithuanian social clubs with buildings to maintain, but no or few Lithuanian-American members in Rockford, Ill., and Muskegon, Mich. In Westville, Ill., artifacts of the town’s once-majority Lithuanian population are held at the Westville (railroad) Depot and Museum. 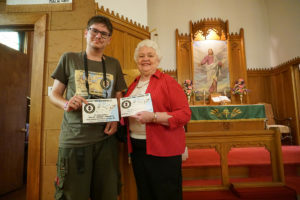 On a much smaller scale in Kewanee, Ill., the Žemaitises found their main informant on the history of the closed St. Anthony’s Church extremely helpful and interested, but not one bit Lithuanian. Alternate uses are not mainstreaming–but they could ultimately save a decaying building. The Žemaitises observed the closed and deteriorating St. George (Lithuanian) Catholic Church in Cleveland being converted for a nonprofit community greenhouse project, although the building is probably too large and deteriorated to be saved, at this point. Additionally, Žemaitis believes that appealing to the young is one of the most important ways aging preservationists must adapt to changing times and cast a broader net for support. This might be done, Žemaitis says, by harnessing what he calls “short-term youth volunteerism culture” driven by schools’ community service requirements. We should also, undoubtedly, try to channel the current passion for genealogy and immigrant family history into both community-building and heritage preservation. This could include participation from people with the merest Lithuanian ancestry or none at all – as the passion for ethnicity, itself, explodes. Using the Internet and social media to gather info, network with new contacts, and find new sources of support-including grants and tourism from both the U.S. and abroad–are also on Žemaitises’ menu of ideas. 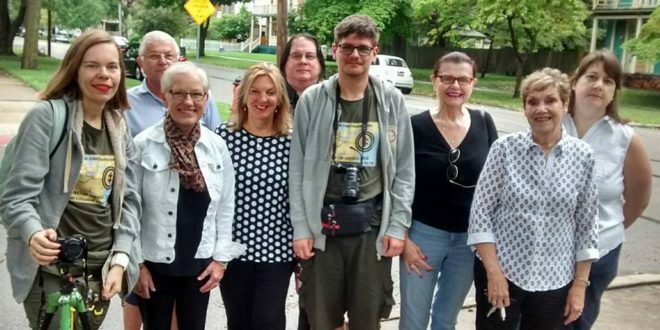 Even considering the formidable, on-the-ground work already on their plates, why shouldn’t the people doing Lithuanian preservation work in Springfield and Westville (100 miles apart) know each other – and about each other’s sites and functions? Why shouldn’t Springfield Lithuanian-Americans be connected to and informed about Lithuanian communities in Collinsville, East St. Louis, St. Louis, and West Frankfort (all about 100 miles away), for that matter? And, why shouldn’t Chicago Lithuanians know about the activities of the Rockford Lithuanian Club, its park and the “Lithuanian” room at the Rockford Ethnic Heritage Museum? Improved awareness and connectivity can lead to more efficiently accessed and applied resources, according to Žemaitis. 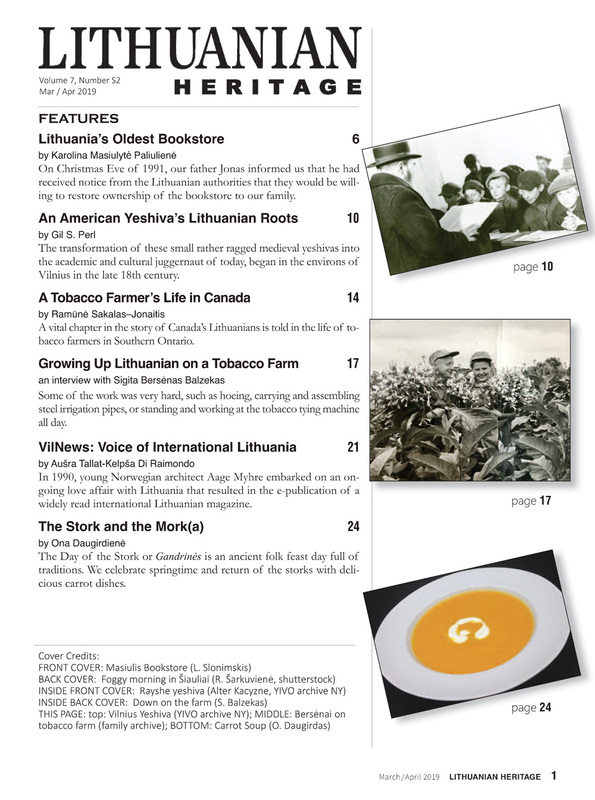 This means cooperation and information-sharing among descendants of the first and second and more recent waves of immigration, the Republic of Lithuania, U.S.-based cultural institutions, the media, and scholarly institutions in both Lithuania and the U.S.
To bring all these groups together as resources for each other, an awareness of the value of Lithuanian-America heritage for each stakeholder must be generated. “This is the underlying mission of Destination Lithuanian America,” Žemaitis explained.